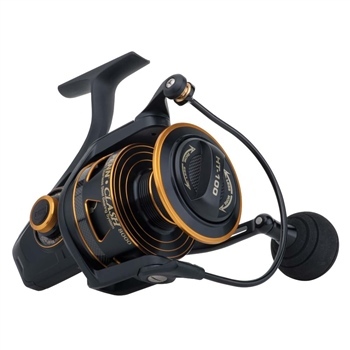 The PENN� Clash features everything one would expect from a legendary fishing tackle manufacture such as PENN. Starting from the inside out, the gear train runs off our Dura-Gear technology which offers a durable and long lasting gear. 9 sealed bearings keep everything in line and moving freely while an Full Metal Body eliminates twist caused by high drag pressure. Other features include a thick aluminum bail wire, slow oscillation system for superb line management, Line Capacity Rings, and a braid ready spool.